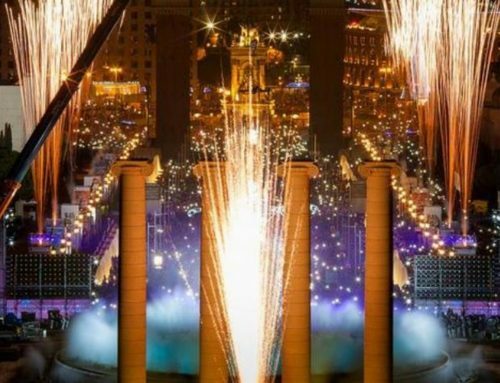 Christmas markets in Barcelona 2017! 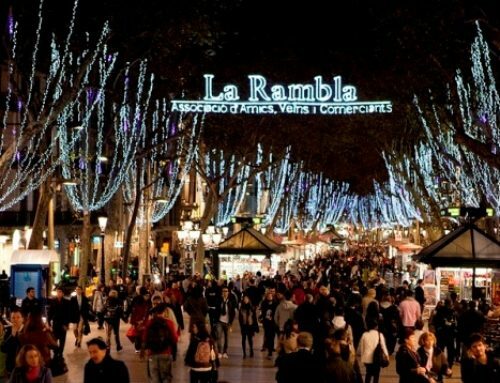 Christmas markets in Barcelona 2017! 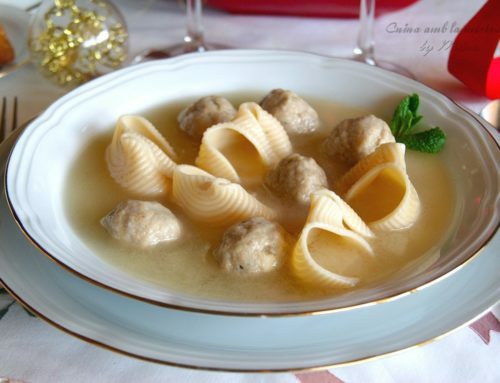 Let’s Xmas! 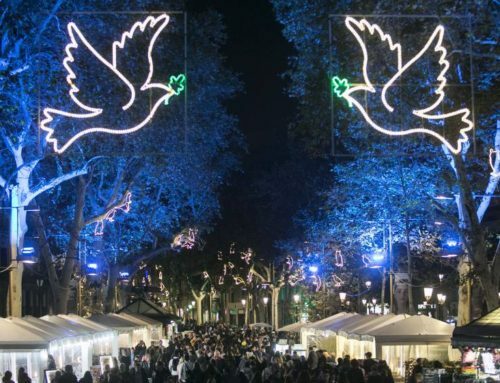 Christmas is round the corner and, for you to get ready, we bring you the coolest craft markets of Barcelona, as well as the most traditional ones. If you’re looking for a unique gift, follow us! La Puça is a Flea Market Barcelona initiative, together with On The Garage. They aim to promote the values of small and sustainable businesses and the market is open to secondhand, vintage, recycling, design, art and crafts stands in a festive atmosphere. On the 2nd December, la Puça is back at Clot! All Those Food Market ‘s Christmas Edition takes place on the 2nd and 3rd Decembar at Sala Comillas at the Maritime Museum of Barcelona. It will be the first time that the museum’s garden will host a culinary market. It will consist of a great selection of gastronomic entrepreneurs where you may do your Christmas shopping, have quality street food, with a dedicated area for families, workshops and music. It will be the All Those market with the most projects involved until now. Like every year, We Love Cats Market, a charity market supporting abandoned and homeless kittens and cats, is here. This unique event celebrates its 6th edition in 2017, during the first weekend of December at el CREC in Poble Sec. This year, at We Love Cats, you’ll find clothes for women, men and kids; home decoration, ceramics, jewelry and accessories; toys for kids, dogs and cats; as well as plenty of arts and illustrations. All these, made even more pleasant with cool foodie stands full of veggies and vegan choices. Will you miss it? In this market you may find the coolest handcrafted gift. • When? : 2nd and 3rd December 2017. At On the Garage we can find over 100 stands with all kinds of objects, vintage clothes, handcrafts and collecting. It is also an exclusive place for exchange. On the Garage takes place every third Sunday of the month at la Ovella Negra de Poble Nou. Opening hours: from 11:00 to 20:00 h.
Place: Ovella Negra de Poble Nou, 78, Zamora Street. 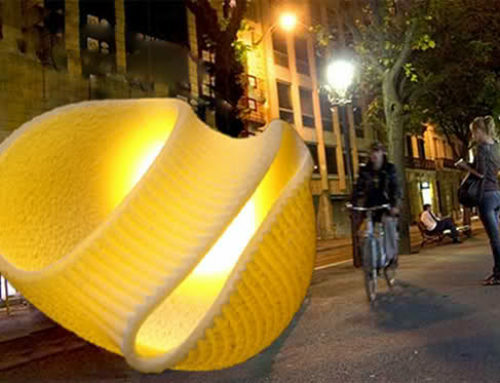 El Festivalet is by far the most representative market in Barcelona when it comes to design and handcrafts. 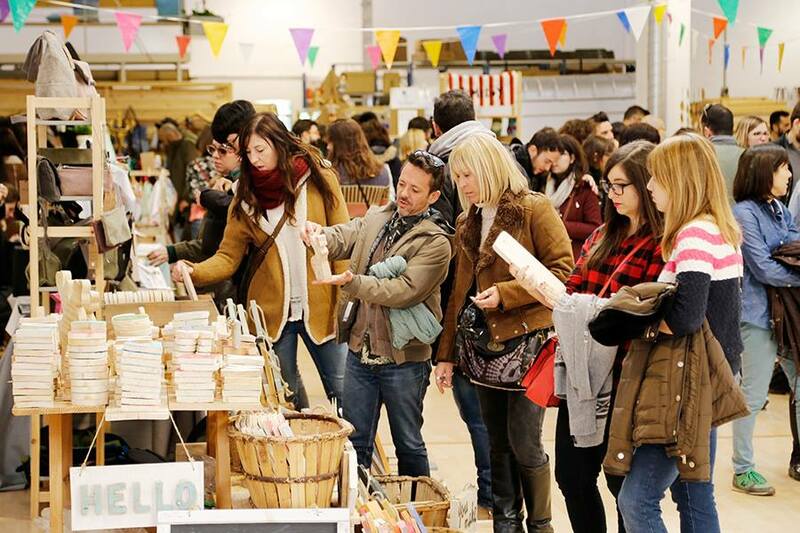 Come and discover a different offer covering several areas: home decoration, toys, illustrations, apparel and accessories, gastronomy, materials and publications, among others. Drop by the Maritime Museum and get the most original gift! Plus, the organizers have also created the Petit Festivalet this year. It is an independent fair exclusively dedicated to handcrafted and small scale manufacturing products for children. • When? : 16th & 17th December 2017. • Where? Museu Marítim de Barcelona: Av. de les Drassanes s/n, 08001 Barcelona. We can not finish this article without mentioning the most traditional markets in the city. They are the coziest ones, that we, locals, have on our calendar. Take good note! Santa Lucía Fair. It takes place at the square right in front of the cathedral. 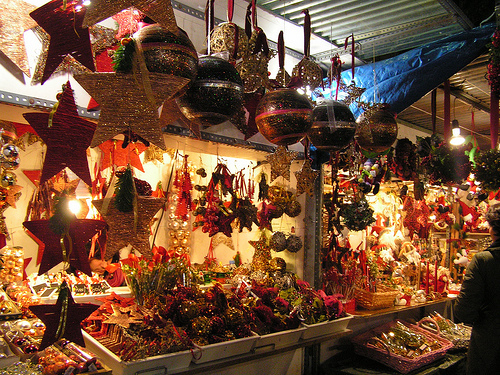 This market sells exclusively Christmas decoration models and articles as well as other traditional Christmas decoration products. There, you will be able to find the iconic Catalan caganer.-> You may attend this charming appointment from the last weekend of November until 24th December. Three Wise Men Fair at Gran Vía, this is with no doubt the perfect walk all locals take after Christmas, Saint Esteve or New Year’s Eve feasts. The Three Wise Men Fair hosts, as you may imagine, all kind of gifts stands: apparel, accessories, games, music… and also thousands of presents for the “stars” of these days: toys, sweets… A must-visit to walk along Barcelona’s Gran Vía and have some hot chocolate and churros -flour fritter- to warm up.-> From 19th December to 6th January, it’s ideal for visiting the night of the 5th of January, as it is open until midnight, due to the Three Wise Men being around!!! Shhhh!!! If you travel with the youngest ones of the family, we still have something for you! Apart from walking around all these markets, we recommend you to visit the Children’s Festival and enjoy all kind of Christmas! Pure culture: Civic centers in Barcelona!